The Doctor of Philosophy (Integrated) (Law) is a four-year research degree incorporating a traditional three-year PhD thesis with one year of coursework subjects, combining generic research training and discipline-specific content into a single degree. Undertaken in the first year of your degree, the coursework component comprises research training skills and individual coursework subjects. Research skills typically include research methodology, literature review and critical analysis, as well as advanced topics or a minor research project. The individual subjects are normally chosen from options within the Masters by coursework degrees from the Law discipline, allowing you to obtain deeper content knowledge in your area of specialisation. International students intending to become university researchers and teachers in their home country will benefit from exposure to Australian teaching methods through these subjects. The research component is the same as for the three-year PhD program and leads to the production of a written thesis. The thesis, which involves a significant contribution to your field of knowledge, must be no longer than 100,000 words in length. In order to progress to the research component, you must complete the first year with an average of 65%, including 65% in each research training skills subject. You will develop your specific research topic before progressing to the research component. 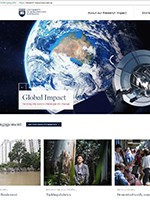 For more information regarding the course structure, visit UOW's Research and Innovation website. Applicants should have a minimum of four years of study at degree level, either a four-year Bachelor degree, or a Bachelor degree plus Masters by Coursework, with a minimum Credit average (65% or GPA 3.0 out of 4.0), or equivalent. conclude with a statement of your motivation for wanting to undertake the research course. Students are advised to make contact with a potential supervisor to discuss their project prior to applying for admission. The maximum amount of external credit that can be awarded at the postgraduate level is 50% of the credit point value of the UOW course. Students complete 48 credit points of coursework (including 24 credit points of research training subjects i.e. Core ARTS901) and a substantial research component (thesis). Students progressing to the research component (thesis) will have developed their specific research topic before commencing the research component (thesis). They will enrol in THES924 Thesis (full-time) or THES912 Thesis (part-time). ^ GWP 800 Global Workplace Practice is only available to international students to enrol. In order to progress to the research component (thesis), PhD (Integrated) students must complete research subject at 65% or higher and the two coursework subjects with an average of 65%. Students not meeting these requirements may be offered an alternative of transferring into a Masters program. This course is currently available in ocean law, maritime security and marine resources management. For enquiries relating to other areas of Law, please contact the Head of Postgraduate Studies. Students complete 48 credit points of coursework (including 24 credit points of research training subjects) and a substantial research component. Students will choose coursework subjects in consultation with their Head of Postgraduate Studies (HPS). With one of the lowest ratios of students to staff of any Australian law school, it includes qualified staff from Australian and overseas universities, and from the legal profession, whose expertise covers a wide range of specialist areas of law. Graduates of our Doctoral and Masters programs are engaged in influential positions in courts, government agencies, private firms and universities throughout Australia, the Asia-Pacific and the Middle East.